Discussion in 'Disney Collectors Board' started by Tmax, Mar 13, 2018. Came across a trade that seems to have created a sort of mystery, I found the pin at the little mermaid merch cart. After asking the cast member what it was, she told me that she hadn't seen anything like it. It reminded me of the inner workings of Treasure Planet, so I researched all known Treasure Planet pins made, and after a few hours, I still came up blank. I then traveled to the park and asked other traders at Disneyland to see if they recognized it, or could give me any hints to what it actually was. This too resulted in nothing. 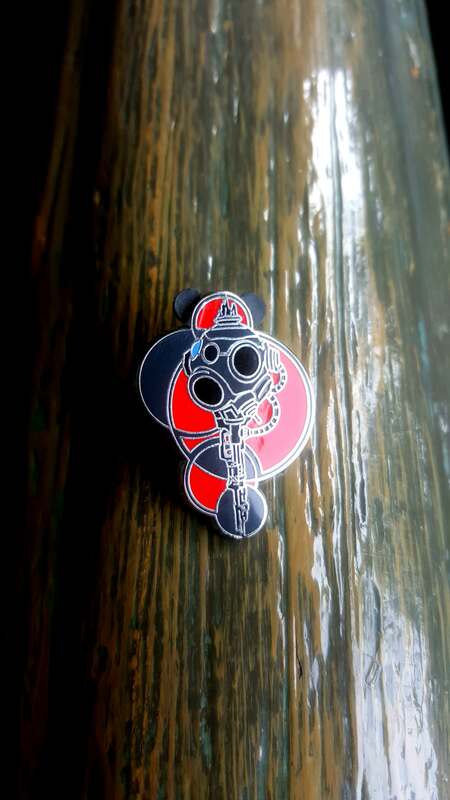 And the mystery continues, (i have attached a image of the front and back of the pin.) If anyone knows what this pin is. I would love to have this mystery solved! Looks like a little kid's awful attempt to draw Nine-Eye. BJW3 Anything can be fun if you try. Looks like a knock off scrapper from China. I thought maybe it was from Atlantis: the Lost Empire, but I haven't been able to find any pin matching it yet. Star Wars droid from a mystery pack. About the scrapper comment? I am guessing probably because of the dips/grooves in the paint/enamel on the front of the pin (unless that's just a light reflection). But don't worry, Disney QC is not up to par and that could have looked like that when it came out of the pack. 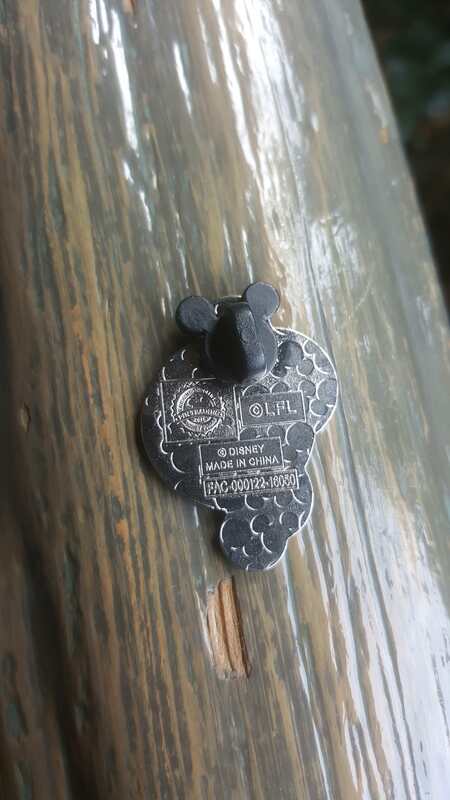 Plus, I haven't seen this particular pin listed on eBay in the "scrapper" lots (the ones where people sell them in lots of 50, 100+ for less than $1/pin) and say that they are tradeable at parks, but no word about authenticity. I haven't checked this pin individually to see if scrapper sellers out of the US are selling it. Well, thanks to your research, this is now perhaps the single worst pin of all time. I'd take that right the hell back to a trading board.